The right floral display case designed around your needs will have your sales blooming. Our logic is simple: the better your store looks, the more your customers will be in the mood to buy. Our retail floral displays will make your store’s sales bloom while enhancing its appearance at the same time. Each of our floral display cases are designed to enhance your customer’s shopping experience. We make your floral cases pleasing to the eye which will garner more purchases and increase your profit. With nearly 50 years of experience in the industry, Pan-Oston knows that having the right flower display can affect your customer’s attitude toward purchases and the probability of coming back for more. This is why every one of our flower display cases was built with this effect in mind. With a wide range of products to choose from, we’re sure you will find the ideal display for your store. 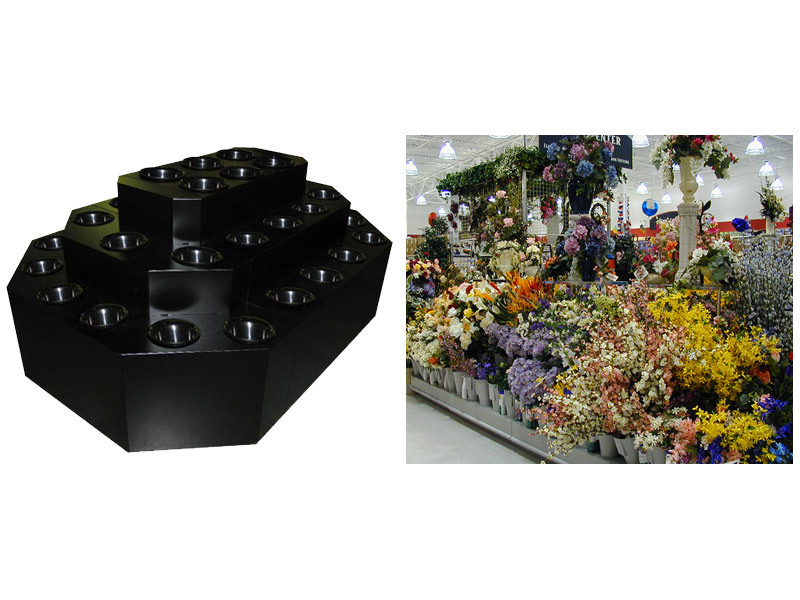 We would be more than happy to help your store bloom with the advantage you can get from displaying our flower cases.